I’ve been on a softshell crab kick lately. Our local fine butcher, Jim’s, gets them on Friday. And for the past couple months, I’ve been a familiar face. 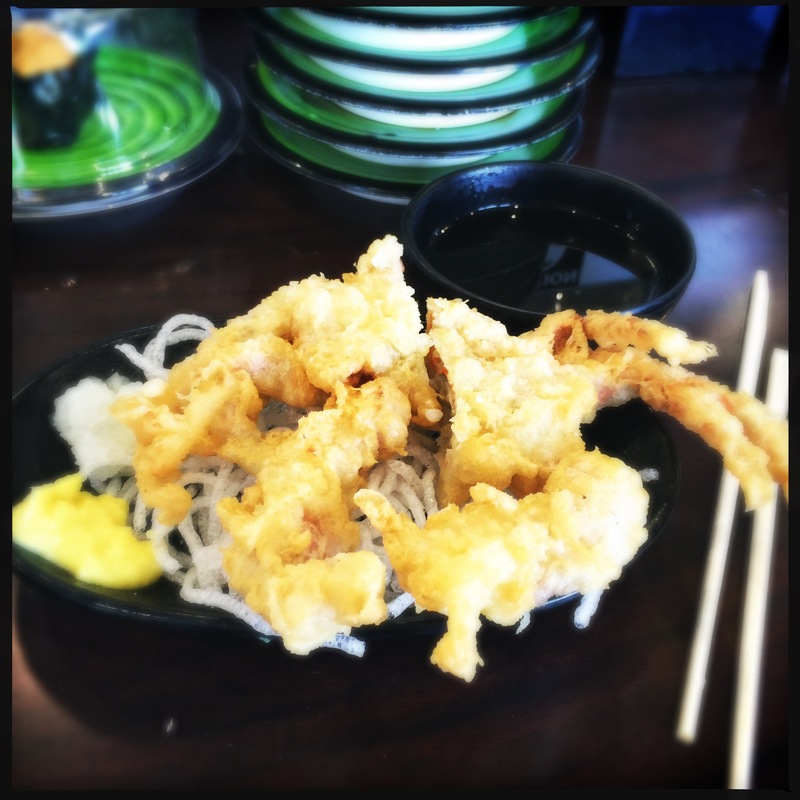 “Ur gonna turn into a giant softshell crab,” my pal Bob texted me after I sent him a photo of a soft-shell I was eating at a sushi joint in L.A.’s Sawtelle Japantown neighborhood. Yes, softshell crabs are one of my favorite things. And the thing is, they’re only available fresh for a few short months each summer. When I see ’em, I eat ’em. I had cooked the crabs a few times for our friends, Bob (above mention) and Shoba. 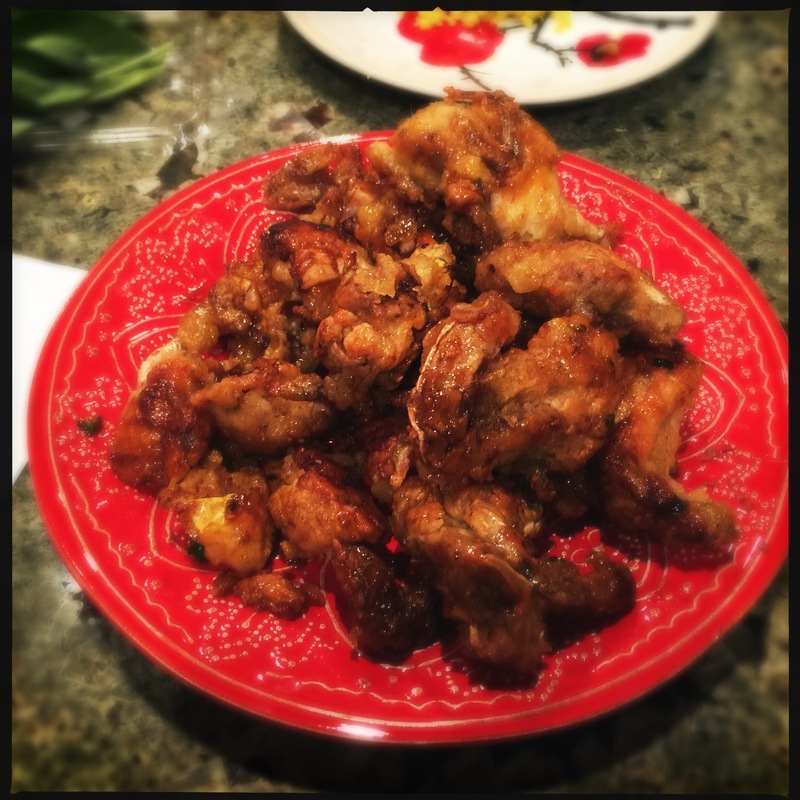 I do them several different ways, but the most popular and a particular favorite of Shoba’s is my sweet Southeast Asian crab — a Vietnamese-influenced dish of crab, floured and crisped up, cooked in a sweet glaze of fish sauce, lime juice, garlic (lots of garlic) and sugar. We dubbed it “crab candy”. Structural crab! — this was one of the best things I’d heard in a long, long time. I imagined widgeting together the crab from a bin of pieces of something like a crustacean erector set. From that moment on, that’s what we called it. “Shall I pick up some structural crab?” Bob asked before a subsequent dinner. If you are so fortunate to still be able to find structural crab at your fish market or fine butcher, this crab candy is one of the best things you’ll ever place in your mouth. If you can’t find it, you’ll just have to wait until next year. 1 cup vegetable oil, plus 1 tbsp. Have your fish guy clean the crabs if you don’t want to do it yourself. Heat 1 cup oil over medium-high in a wok or skillet. When the oil is hot (test with a bit of flour, it should sizzle), fry the crab quarters, about 1-2 minutes per side, until golden and crisp. Remove from oil and drain on paper towels. Either drain oil from pan to reuse, or get a new pan. Heat 1 tbsp. oil over high heat. Add garlic and fry, stirring, for about 30 seconds. All at once, add fish sauce, lime, and sugar, stirring to combine. Then turn off heat, and add crab, tossing or stirring until all crab quarters are coated with the sticky sauce. Picking up 6 healthy ones in the morning. 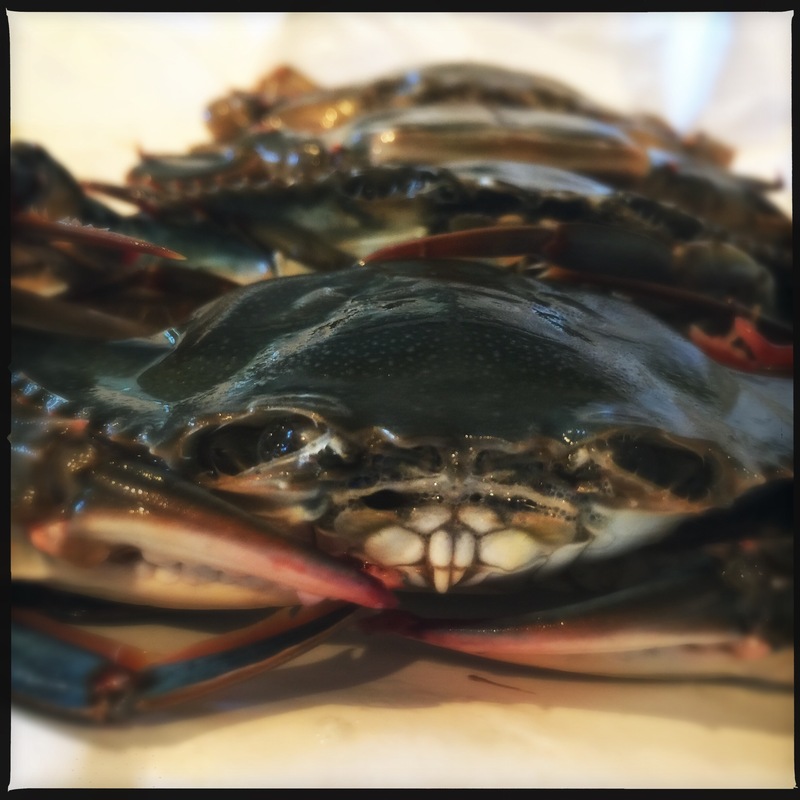 Oh man, I really need to eat some softshell crabs when next time in CA, can’t believe I never had them while we lived there – kicking myself (none here). Your structural crab candy looks amazing! We have to import them from the east coast, because we don’t have them here (our big dungeness crabs would be a mouthful! LOL). I need a fix, too. Rumor has it that Donnie Schneider may have some… Race ya there.